Payoneer as you may already know, is an online payment company for receiving and making payments online. They issue you a U.S bank account, routing number and a prepaid MasterCard you can easily use to transact business online for free. 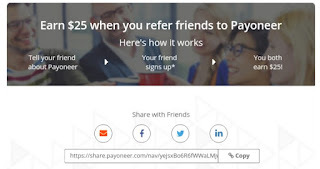 One thing majority don't know, or know but don't implement is the fact that you can actually make a lot of money for yourself through Payoneer affiliate program by simply referring your friends or colleagues to Payoneer. You earn as much as $25 dollars when someone opens a payoneer account through your referral link. And the thing is, it doesnt end their. As they too earn $25 for regustering through you. Its pretty simple. 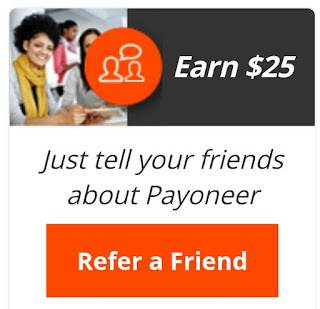 You tell a friend about Payoneer, and if they are interested, you send them your affiliate link. And once they sign up through you, you are good to go. All you have to do is wait! Once they make up to $100 on their Payoneer account, you get $25 credited to your account (that's N4,667.5 using the official zenith bank Payoneer dollars exchange rate of N186.7). And while you are getting this, he or she will also be credited with $25. Meaning its a Win Win situation and you have absolutely nothing to loose. You might say; how the hell will I wait until they make $100? How will they be able to make that in the first place? You don't have to worry. 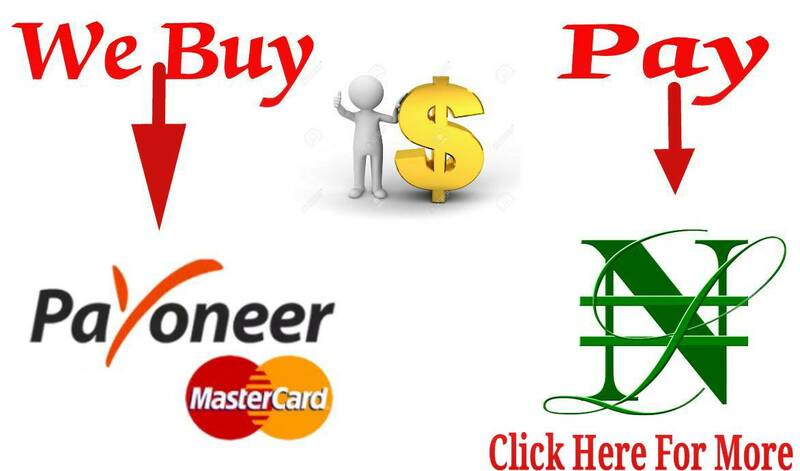 As there are many ways one can make money using there Payoneer account. And since they too will be getting their own share of the cake ($25), they will do well to see that they make $100 before you know it. You can checkout the Terms and Conditions to be well guided. ==>1. First, you have to Sign up here. You stand a chance to earn your first $25 by signing up through the link. Click here to learn how to sign up. ==>2. 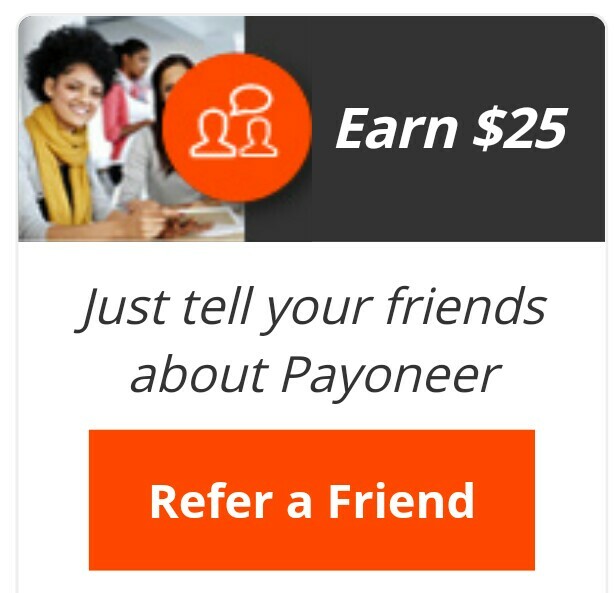 Tell your friends about Payoneer. If they are interested, send them your affiliate link (same as your referral link) to click and create their account. ==>3. When their account is approved, their card will be shipped to them. Now what's left, is for them to receive or have up to $100 in the Payoneer account and you both will get $25 for free. ==>4. You can choose to keep referring and keep earning. Tips To referring a friend? ==>Share it on social Media like Facebook and twitter. Make sure you include the benefits of signing up through someone in it. ==>Shared on a blog post like this one. ==>Help friends with signing up. If you can help your friends, it will be a lot easier as you have everything in control. To start earning right away, click here to sign up through me. You might also want to see how to withdraw money from your payoneer into your local bank account. No its a free account.